“I didn’t want to die; there was still too much to live for,” says Scott while recalling the three separate life-threatening cardiac-related events he had in August 2018. 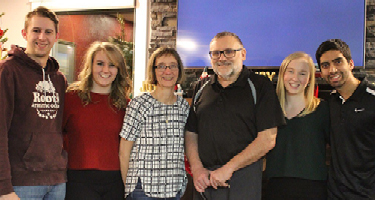 Within a span of three weeks, Scott required two emergency minimally invasive procedures in Royal University Hospital’s Cardiac Catheterization Lab that included the insertion of three stents in his heart. The third event involved irregular heart rhythm that was managed with medication. Scott, who was a month shy of his 60th birthday at the time, describes the care he received as the best ever throughout his history of living with chronic diseases. Scott was so impressed with the care that he’s given it an acronym! labs, to address the growing complexity of care required for men and women with heart disease. Donate online or contact Laura Herman, Senior Development Officer at 306.655.6530 or laura.herman@ruhf.org for more information.